When it comes to payments with credit cards, security is the utmost important for Canadians: two-thirds (66%) ranked it as the most important element of a credit card transaction, way above convenience (the choice of 14%) and speed (10%), a study commissioned by Visa Canada revealed. The study marks the four-year milestone of Canada’s transition to EMV Chip and PIN, something Europe did some while ago, to fight fraud. The method generates a unique one-time code for each transaction, a feature that is virtually impossible to replicate in counterfeit cards. The transition to Chip and PIN has turned out to be successful: 83% of transactions processed in Canada use this technology, pushing the fraud rate historically low, the Visa study shows. When asked, Canadians said they felt this payment method is secure and easy. 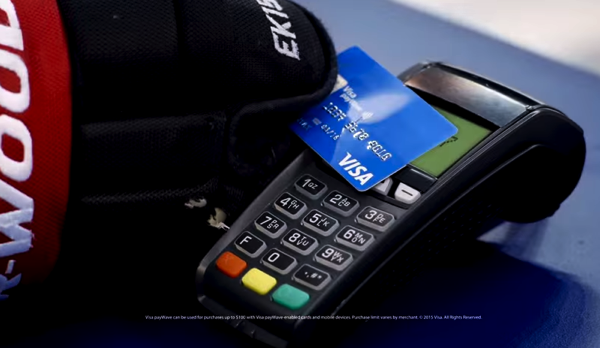 The next step in payments is NFC, and Canada is ready for it, Visa says: Seven Visa payWave contactless transactions happen per second in the country. About 58% of credit card owners reportedly used contactless payments, and the majority (74%) of them consider this type of payment to be faster than other card payments. PayPal expects for e-commerce to spike 142% by 2016, and the Visa study suggests that this will become reality: Canadians are confident that their transactions are secure, as 86% of cardholders have shopped online with 48% reporting they feel their credit card details are less secure online.